The first lookout on Smith Mountain was built in 1930. In 1944 a 10′ timber tower with cab replaced it. 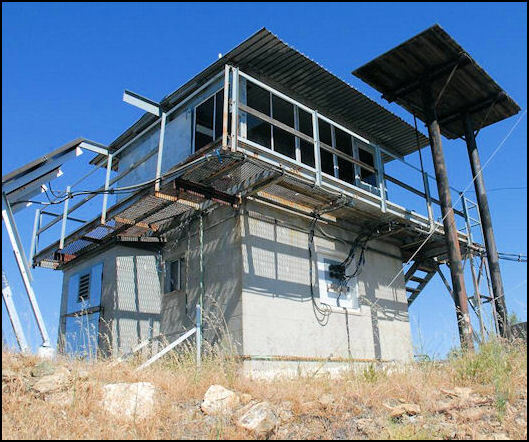 In 1976 the current 13’x13′ CL-100 metal cab was moved from Black Mountain on the Los Padres National Forest and placed on a 10′ block tower by CalFire.